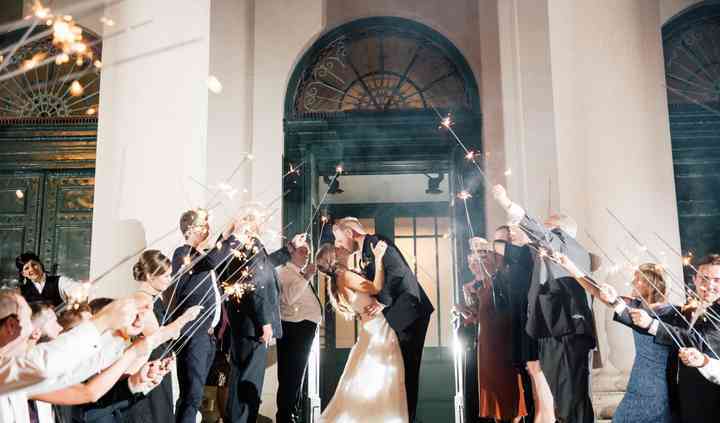 Embrace the Southern charm of the City of Oaks with these Raleigh wedding venues. Travel further into Wake County for rustic barns and secluded country estates or stay in the heart of downtown with a banquet hall or...Read more hotel venue. Find Raleigh wedding venues to match your wedding style and budget with helpful filters, too. As one of the South's quickest growing cities, Raleigh has exploded in both population and wedding venues in the last few years. With more young people moving to the North Carolina area, it's no surprise that Raleigh's wedding industry has developed so rapidly. Couples looking for the perfect place to tie the knot in central North Carolina will have no shortage of fantastic options. With its tree-lined drives and lush greenery, Raleigh more than lives up to its nickname, making Oak City the perfect spot for a romantic wedding. Embrace the great outdoors with a ceremony in one of the area's many garden wedding venues. Fragrant roses and colorful azaleas make for an especially attractive wedding day backdrop. Plantations and farm venues also abound in Raleigh, so couples looking for a bit more room for guests may opt for these kinds of settings. Though Raleigh has plenty of beautiful outdoor options, the town's chic hotels and loft spaces shouldn't be left out of the running. Your love story is one for the ages, so why not marry in one of Raleigh's historic mills? Repurposed into modern lofts and event spaces, these old factories harken back to the city's glory days as a major tobacco town. No matter where you host your wedding, Raleigh's abundance of hotels will more than satisfy the needs of your guests. With prices averaging between $100 and $150 per night, there's something for every price point. Speaking of affordability, couples marrying in Raleigh are in luck: on average, weddings there run about $25,000 for celebrations with 100 guests. That's about $10,000 dollars less than the national average. As the state capital, Raleigh is ideally situated in the North Carolina's Triangle. Along with Durham and Chapel Hill, Raleigh is served by Raleigh-Durham International Airport (RDU), making travel to and from your wedding easy for guests. Expanding your venue hunt to Chapel Hill and Durham makes sense, as the cities are close by and offer further lovely options for your Big Day. This area of North Carolina is well-known for its stellar opportunities for higher education. The good news is that you don't have to be a student to get married on campus. Duke, North Carolina State and the University of North Carolina at Chapel Hill all offer charming spots on campus to host a wedding. Couples marrying in North Carolina will be pleased by the area's relatively mild year-round climate. While Raleigh gets the occasional inch or two of snow in the winter and experiences some intense summer thunderstorms, outdoor wedding venues remain popular practically all year. Concerned about a storm raining on your parade? 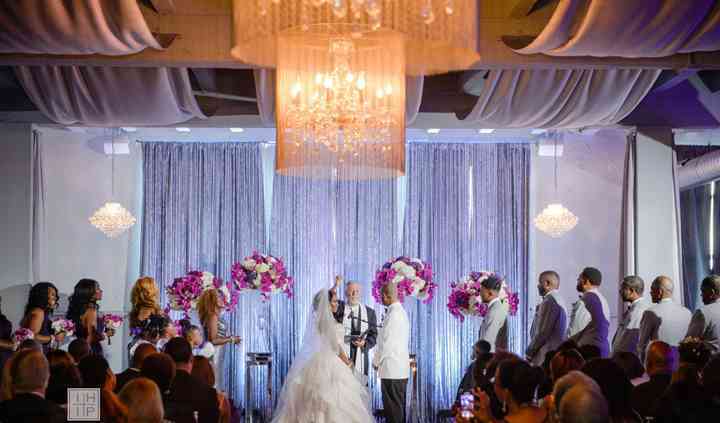 Choose a venue that offers an indoor alternative for your ceremony. Ready to choose a venue and begin other wedding to-do list tasks? Check out WeddingWire's planning tools, where you can connect with vendors, track your budget and even generate a wedding day hashtag.